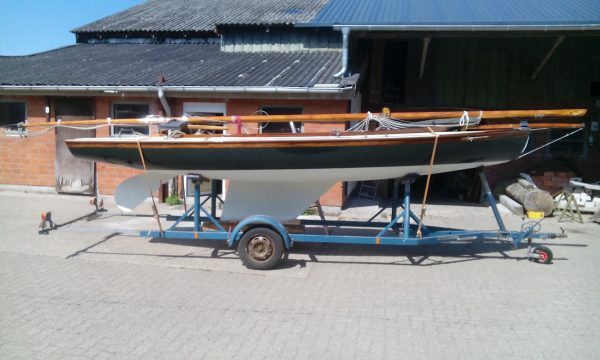 Interesting open day boat designed by Hendrik Bulthuis and known as a BM sloop. Totally rebuilt by the present owners, completed in 2018. 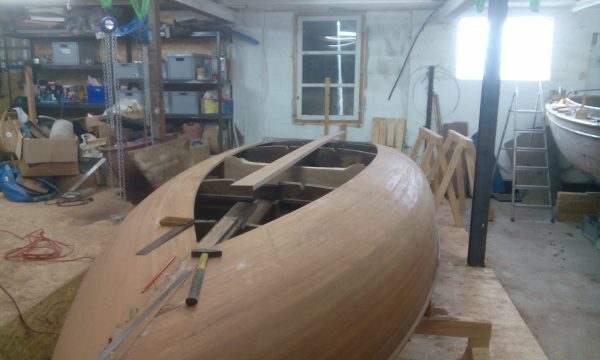 The bilge areas of the hull had suffered rot damage and were stripped out entirely with a new section of the keelson scarphed in, some new wooden floors and a large section of new planking each side of the keel. The sails and some of the rigging were also replaced new in 2018. 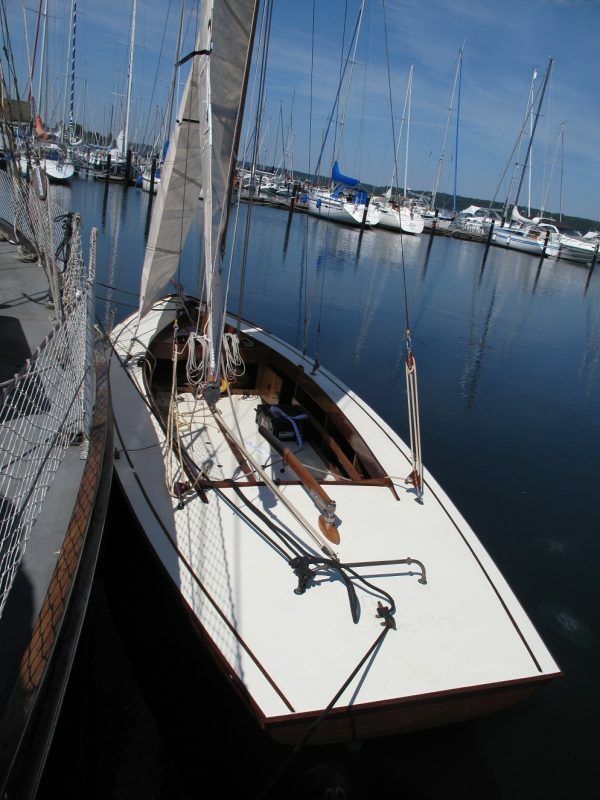 She then had a complete cosmetic overhaul from top to bottom with new epoxy paint systems from the ground up. 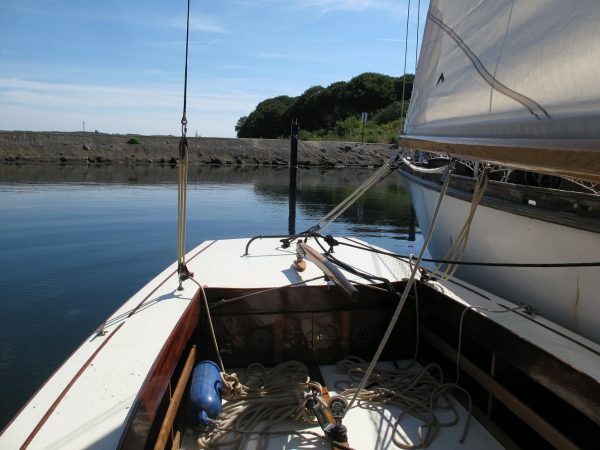 This is a very manageable day boat, easily sailed by one person but with space comfortable for 3. 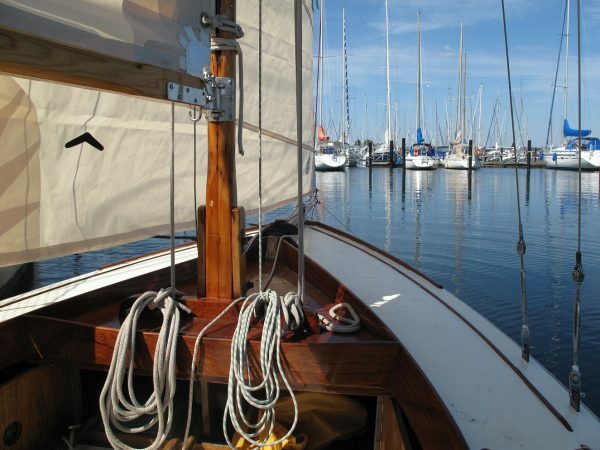 Various sail combinations make her easily handled in different wind strengths. 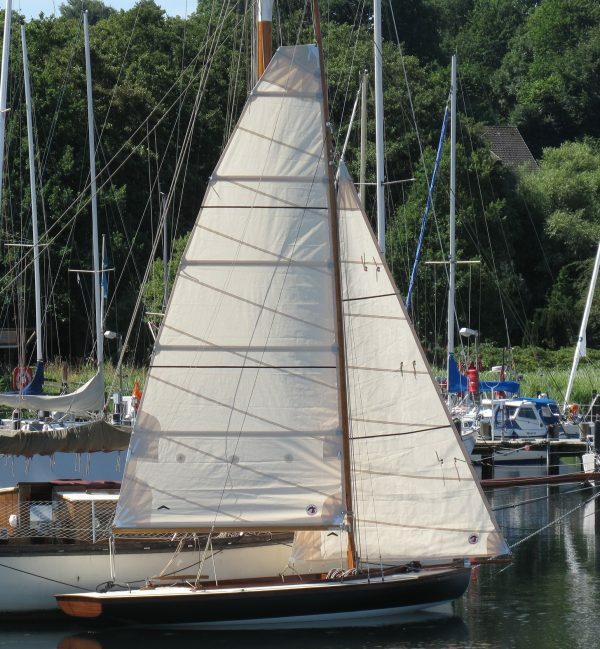 Her design is quite modern with a fin keel and separate blade rudder making her a lively and fun boat to sail. Now in very nice condition, structurally sound and ready to sail, complete with her own road trailer. 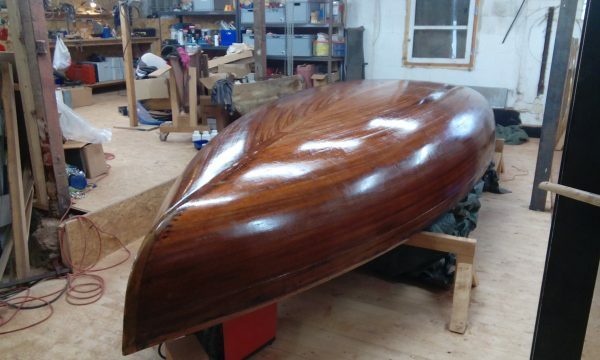 The hull is made from 17mm strip plank mahogany, edge glued and sheathed externally with epoxy glass cloth. During the rebuild, the wooden keelson was replaced and the planking either side through the bilges plus a number of wooden floors due to rot. Once completed, the hull was prepared and sheathed in a light epoxy glass cloth then finished in 2 pack epoxy paint. Sawn wooden floors across the centreline. External iron fin ballast keel of 80kg fastened with new galvanised steel keel bolts. Sheathed marine plywood deck finished in white 2 pack deck paint. Varnished mahogany coamings. 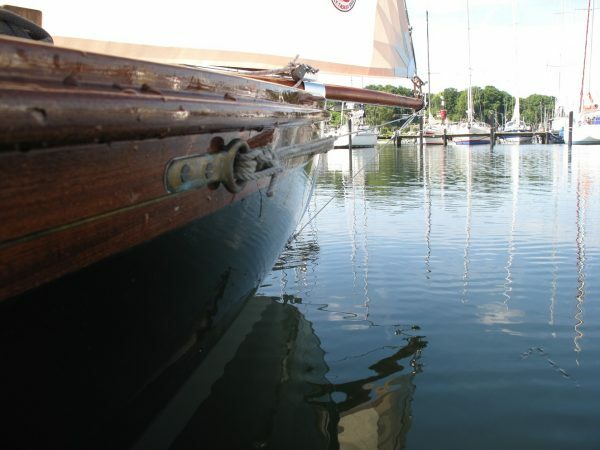 Tiller steering on a rudder stock through the aft deck, new stainless stock. 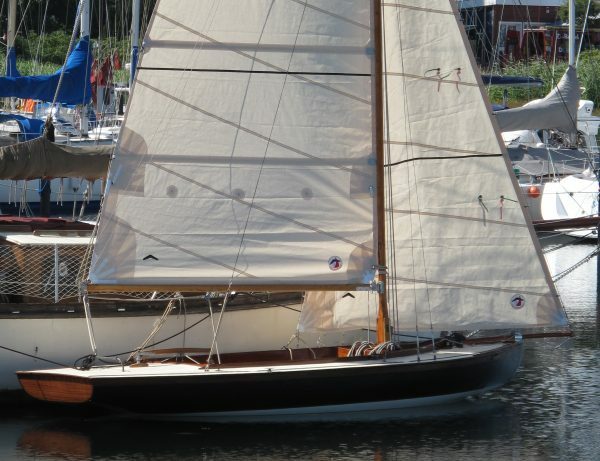 Fractional bermudan sloop rig on a deck stepped varnished spruce mast with varnished spruce boom. Varnished wooden bowsprit added during the rebuild for a larger jib. All spars stripped and re-varnished in the refit. Stainless steel standing rigging to internal bronze chain plates. Rigging believed to be 2010. 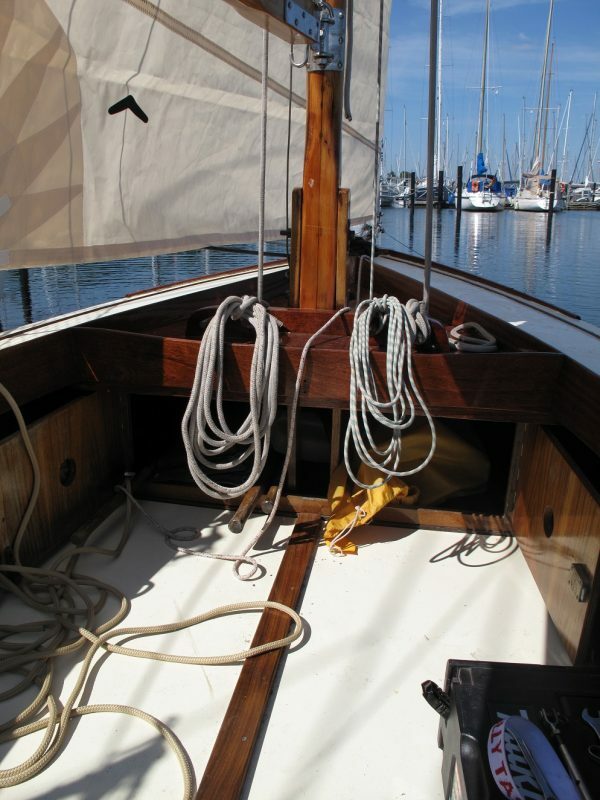 Simple rig with a pair of cap shrouds, twin running backstays on tackles and a forestay to the end of the bowsprit. 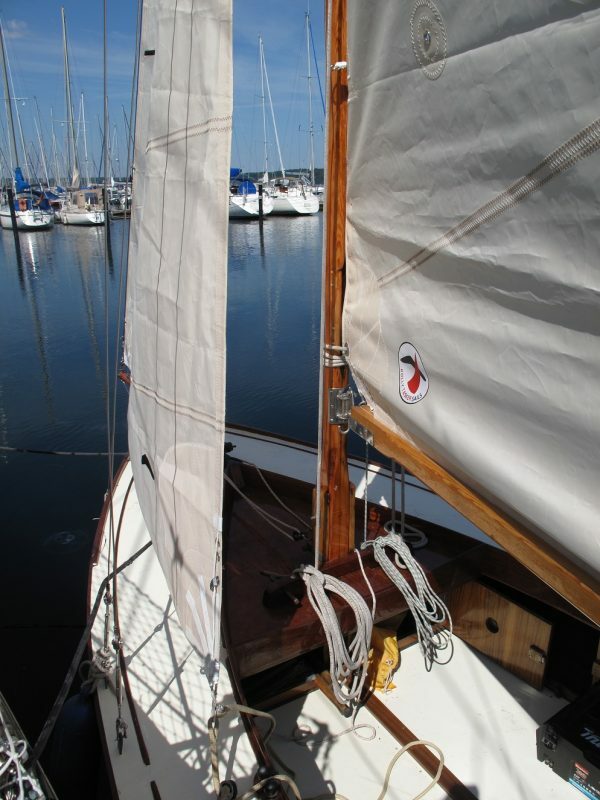 New mainsail and genoa in 2018 in excellent condition. 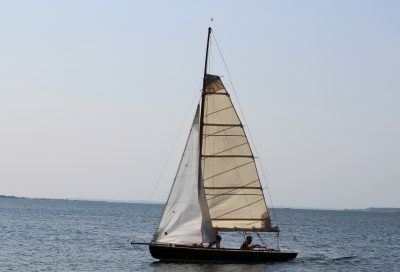 Mainsail has a flat head and large roach in a more modern style, it sheets to a bronze horse on the aft deck and then down to a turning block on the cockpit sole. Genoa is hanked on to the forestay and sheets back to bronze cleats. Older set of sails in good condition with a smaller jib a a mainsail with a smaller area. This allows sail combinations for all wind strengths.